The snake has been dubbed "Wessie" and the "Presumpscot Python"
A snake like this was observed in Riverbank Park in Westbrook, Maine. 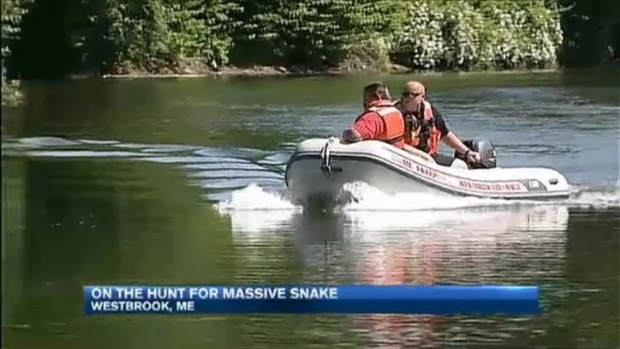 Police in Westbrook, Maine, say a snake the size of a car in length was found feasting on an animal believed to be a beaver on the banks of the Presumpscot River. An officer patrolling the Riverbank Park area spotted the snake, which has been dubbed "Wessie" and the "Presumpscot Python" by residents on social media, at about 3:30 a.m. Wednesday. 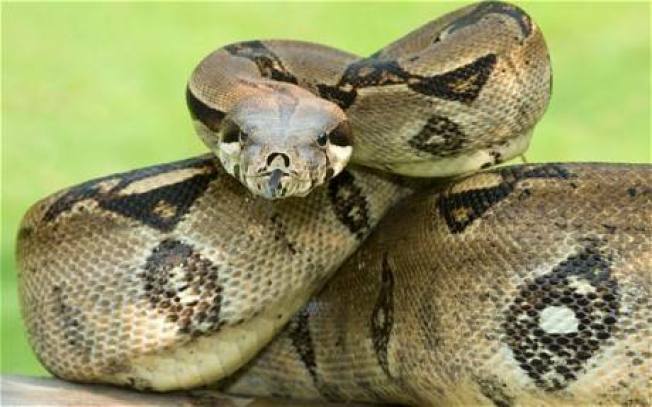 After a second officer arrived on the scene, police say the snake finished its meal and swam across the river to the Brown Street side before disappearing. Maine Warden Service officials say the snake is expected to lay dormant for a couple days since it just consumed a large mammal. A report of a snake "as long as a truck" near a playground is causing quite a stir in Westbrook, Maine. Residents are concerned because that section of the river is popular for children to swim and feed ducks.